So, you want to go overseas but don’t speak the language? You’re nervous and aren’t sure where to start planning? It’s all too much stress! Maybe, just maybe, it would be easier to sign up for a tour. You’ve always loved everything Disney, and you’ve heard they do tour-guided trips overseas, but is an Adventures by Disney vacation really for you? Read the pros and cons below to find out if you should jump aboard an Adventures by Disney vacation. 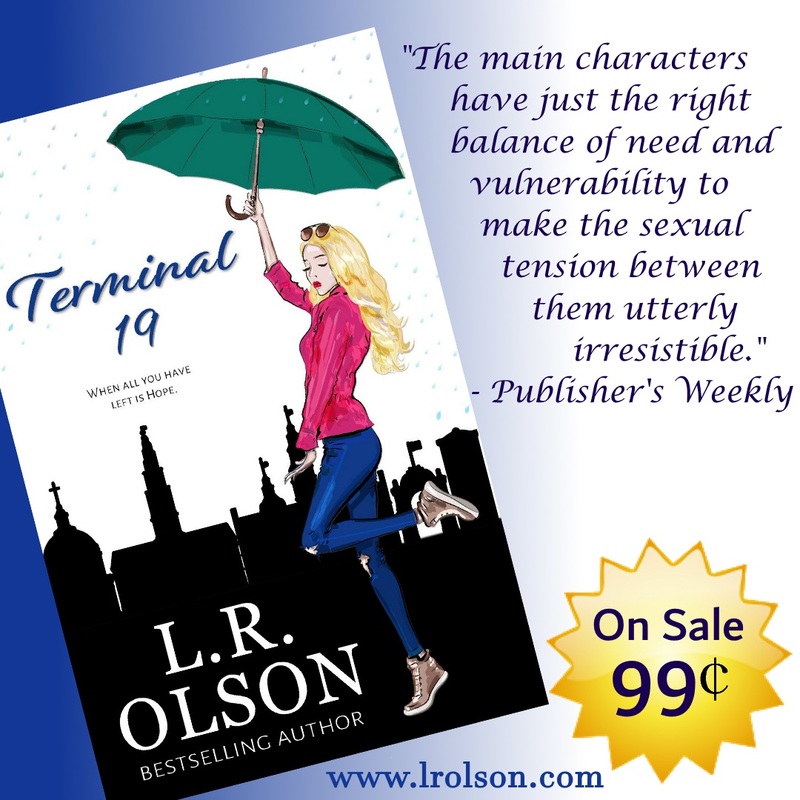 – It will cost you! An Adventure by Disney trip will cost you on average $5,000 or more per person(trips inside the US are cheaper). That’s right, for a family of four you’re talking about $20,000. Even worse, that doesn’t include airfare. If you’re the kind of person who thrives on getting a deal, or traveling on a budget, Adventures by Disney might not be for you. You’ll also be expected to tip your tour guides at the end of the trip, so make sure to factor in that extra cash. 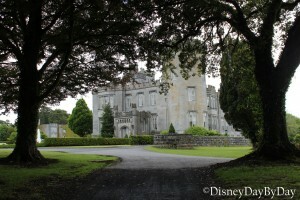 You can find out more about prices by heading to the Adventures by Disney website. – Hope you enjoy traveling during summer. Want to go when kids are back in school and the weather is a little cooler? Not so fast. If you take an Adventures by Disney trip you’ll be limited on the dates you can travel, and those dates are pretty much during warm weather. There are a few fall trips, but these are mostly for adults only. – You’ll be on a schedule not of your making. Of course as with any tour, you’re on a schedule which the tour guides must keep. You might have to get up earlier than you want, or might stay out later than you would normally, and you could be on that bus for a long, long while depending on where you’re going. By far the worst is when you visit a site you love, yet you only get a limited time to see the area. Or you go somewhere you don’t enjoy, but are stuck for hours. On our trip to Ireland we stopped for dinner at an Irish pub with traditional Irish dancing out in the middle of nowhere. It was lovely…for the first hour. The second and into the third hour and our son was ready to go. Not only were we stuck, but there was nothing else to do. On the other hand, when we visited the Cliffs of Moher we could have stayed there for hours, but felt rather rushed and didn’t get to hike as much as we would have liked. – Hope you like to socialize! As with any tour-type vacation, you’re stuck on a bus with people you might not like. We were fortunate in that the people on our tour weren’t too annoying, and in fact we made a few friends. But God forbid you end up with someone loud and obnoxious, and it could happen! – Living the family Life! As with everything Disney, these vacations are geared toward the family. 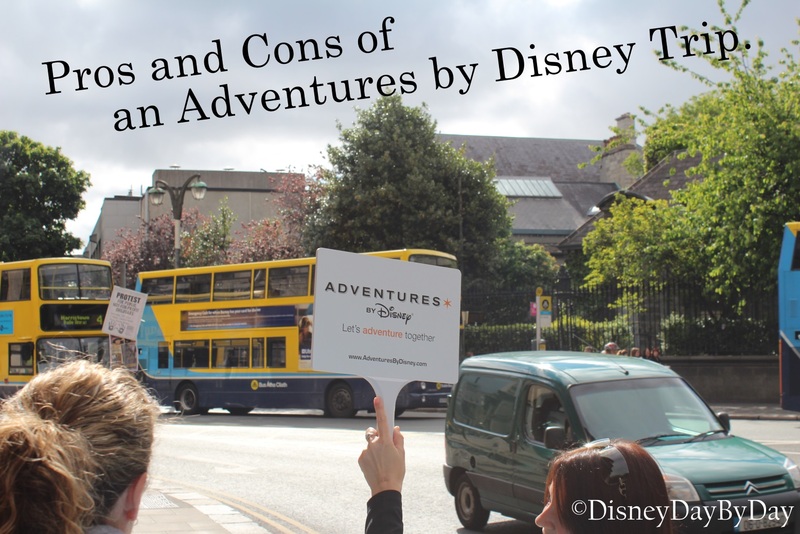 If you hate kids, or your goal is to see as many pubs and drink as much as possible, you might want to try a different tour company, or wait and go in the late summer/early fall on one of Disney’s adult only trips. Have we scared you off? Don’t go just yet! There are actually a lot of positives when going on an Adventures by Disney trip, we promise! 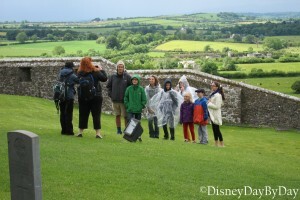 In fact, we enjoyed the ease of our trip to Ireland so much that we’re hoping to go on another. So what are the positives, you might be wondering? Read below! There’s no stress, and for most people that’s a good enough reason to go on a tour. Disney certainly knows how to put you at ease! Not only will a driver be waiting at the airport to pick you up, but your luggage will be taken care of at every stop! Even if you decide to arrive a day early, or stay a day late (which you can for a fee, and we highly recommend doing), someone will be there to pick you up. You’ll have no worries about renting a car, driving in a foreign country or transporting your luggage from place to place. It will all be there waiting for you. + Your group will get its very own tour guide! Actually, two. Not only are these tour guides super friendly, but they are also very helpful. As is pure Disney fashion, the visitor is their number one priority and they are there to make sure your trip goes smoothly. Not only are these guides knowledgeable about the areas you’ll visit but they’ll also be able to recommend restaurants and shops when you have free time. + Okay, yeah, the Adventures by Disney trips are expensive, but they make up for it in excellence. On your trip you’ll be treated like royalty, staying at *top end hotels and eating at excellent restaurants. Imagine being served by waiters in suits and tuxes, eating on porcelain and being served tea from silver. Now imagine that every morningfor a week! It’s easy to get used to the lifestyle and you’ll dread returning to your Fruity Pebbles back home. + You’ll see a variety of the major spots. Yeah, you might not stay as long as you’d like, but Adventures by Disney makes sure to take you to the top hot spots, the can’t-miss places of each country and area. It’s a wonderful buffet of sites, and because you’re paying for it, you will probably even see some behind the scenes experiences that most people won’t! And if you want free time, don’t worry. Adventures by Disney factors in plenty of free time so you can explore on your own. + Adventures by Disney is kid and family friendly! Although this might be a con for some, the family friendly atmosphere was definitely a plus for us. There are no inappropriate jokes or party-like atmosphere. If you’re one to blush easily and like your life PG rated, you’ll definitely appreciate Disney’s family atmosphere. Even better, you’ll get to meet other family-friendly people. That’s right, you’ll get your very own pins especially for your trip! Every day, when meeting with the group, your tour guides will hand you your very own special pin that you can only get on your vacation! Even better, each member of your family gets their own. So, is an Adventures by Disney trip for you? If you don’t love to socialize, if you are a traveling aficionado and don’t need the hassle of a group, or if you want to travel on a budget, then an Adventures by Disney trip might not be right for you. But if you want a no hassle vacation, where you’ll stay at top-rated hotels, eat at amazing restaurants, and be treated like special dignitaries then you just might want to try an Adventures by Disney Vacation! 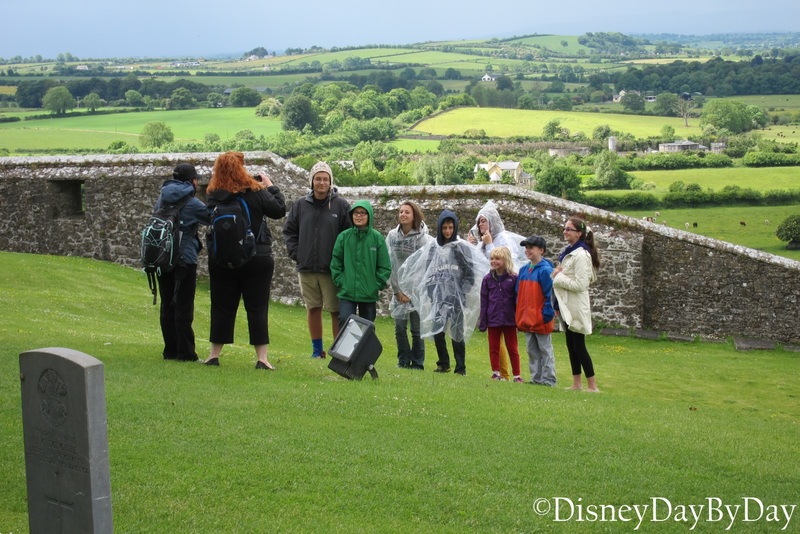 If you are interested in the different places Adventures by Disney visits, or want to know prices, head on over to their website and start planning! *It should be noted that a 5 star hotel in Europe is different from one in the U.S. You’ll be staying at castles and old manor homes. Although these hotels are expensive, expect that things might be ever so slightly out of date. Hopefully someday we’ll be able to afford an Adventures by Disney trip — they definitely look like a “trip of a lifetime.” Thanks for sharing the pros and cons. Great food for thought! I’d love to take an Adventure by Disney Trip in the future!